← Rules That Husbands Wish Wives Knew, I may be killed for posting this. 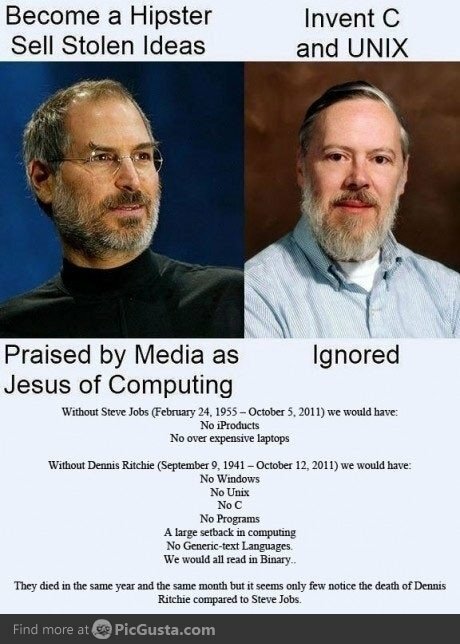 This entry was posted in Cool Find, Developer, OMG and tagged Dennis Ritchie, Kevin Leigh, Steve Jobs. Bookmark the permalink.